Home › Health & Wellbeing › Pets are People Too! Pets are people too. 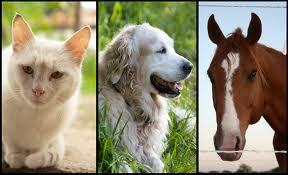 Channeling about your Pets health and how it directly effects you. Please also understand that the emotional state of the owner of the “pet” as you call them, will always have a direct effect on the pet.. And so, we are going to say this to you that this pets body and aura and soul has absorbed all the pain and suffering and energies of her Owner.. and since most conscious souls that come into the pet bodies of their human cohorts are the ones that come down to assist their human friends in growing in their consciousness, they do establish a direct link, a relationship with the hearts and souls of the ones that they are presently finding themselves in.. Their job is not only to be there to enlighten and to bring joy to their owner, but also to absorb these energies that are not good for their owners. And so we say this onto you.. that it is the responsibility of each owner who truly loves their “pet” to not only care for them on a phsyical level, but to also cleanse them often energetically as well. The biggest gift that a “pet” owner can give to his or her beloved companion is the gift of owner’s happiness, clean aura, peace and harmony. Thank you for this lovely message, a loving suggestion of another way to share our love with our wonderful animal companions. Including some suggestions on how to “do” this in the readingyou sent me today is really helpful too! 🙂 Blessing to you!! so much love all pets,,and lil buggies..etc.. two birds, two guinea pigs, one lovely faithful dog…love.